The garage is so much more than a garage these days. No more cobwebs and dirt, no more grease and unkempt tools. With the emphasis on home design and the Do-it-Yourself movement, homeowners now enjoy garages that rival their interior living spaces. This is especially true for those who transform an area of the garage into a livable man cave or hobby shop. Even if you don’t have a garage that functions as a secondary living room, it pays to have a nice, clean and finished garage space. The family will get more out of it, and the garage will show well should you decide to put your house on the market down the road. Clean & Organize It. 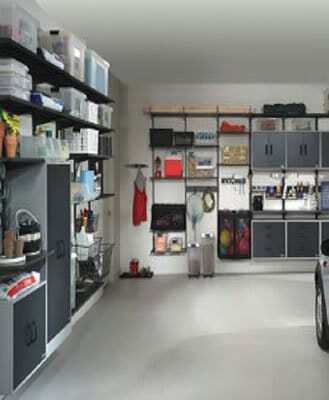 The best way to clean and organize a garage is to haul everything out, clean the garage from top to bottom, and then slowly put back the items you need and use on a regular basis. Everything else can be sold, donated or junked. If you’re planning on continuing with additional garage renovations or additions – like cabinet installations, organizing racks and so on – schedule the big clean-out for the same weekend so you only have to do it once. Everything can be replaced when the project is complete. Replace or Repaint the Garage Door. How old is your garage door? If it’s more than 15 or 20-years old, it may be worth it to replace it. A brand new garage door will add significant curb appeal, and today’s garage doors come in a wide range of designs, which can enhance – rather than detract – from your home’s existing architecture. Another benefit? You can select an insulated door that will keep your garage space more comfortable year-round. 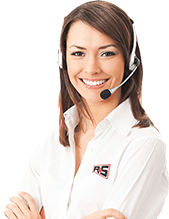 While this is of benefit for those who use their garage for hobbies or hangout, it will also help to protect interior comfort inside your home. If your garage door works fine, but could use a facelift, consider repainting it. This one simple act can have tremendous visual benefits. And, while you’re at it, replace the seals and weather-stripping, which will further improve interior comfort and will also diminish the amount of dirt, leaves and debris that make their way inside. Refinish the Floor. Bare concrete is the universal garage flooring finish. However, finished garage floors, using textured flooring surfaces that chemically bond with the concrete floor – look infinitely better. The result is a beautiful finished garage floor, that is chip-resistant, stain-resistant, easy to clean and comes in a range of colors and textures. Epoxy paint is another option and it can be done by yourself or a crew of family and friends. Add Versatile Lighting. If you’ll be using your garage for more than a storage areas for cars, toys and seasonal decorations – consider creating a more versatile lighting plan. You may find you need more than just the typical, single, fluorescent light bar. You can mount additional hanging fixtures in each corner of the garage to provide more unified illumination. Add task lighting over a workbench or hobby area and think about adding dimmer switches so you can eliminate harsh glares you use the garage for hobbies or games. Once your garage is cleaned out, spruced up and attractively finished, you’ll wonder why you waited so long. A finished garage can add hundreds of square feet to your home that can be used year-round for work, crafts, games, hobbies and entertaining.